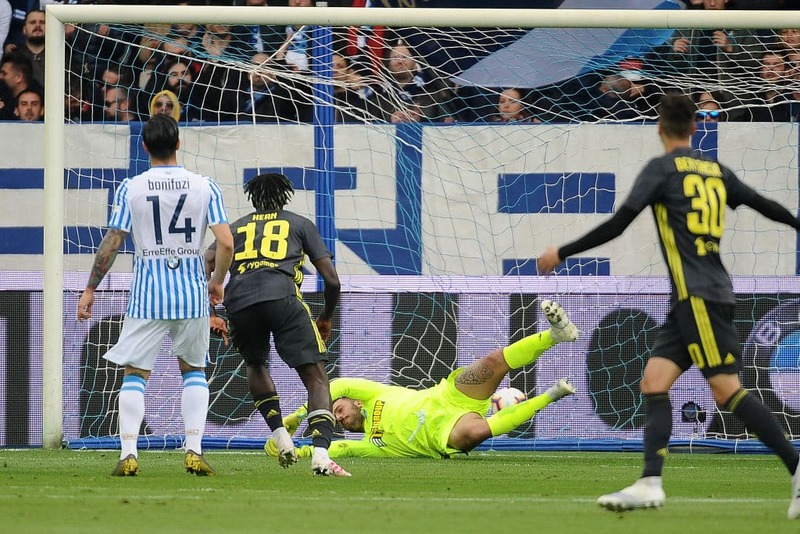 Italian League table toppers Juventus were condemned to their second defeat by SPAL at the Stadio Paolo Mazza on Saturday, April 13. Teenage sensation Moise Kean opened scoring for the Old Lady in the 30th minute after converting a Joao Cancelo's pass at half hour. But a two second half goals from Kevin Bonifazi and Sergio Floccari helped the hosts to come from one goal down and claim absolute victory after regulation period. This defeat means that the defending champions will have to wait another week to be crowned the league winners for the eighth consecutive season. In spite of the defeat, Juventus remain at the summit of the table with 84 points from 32 matches - losing just two and drawing three others. Although, Massimiliano Allegri ringed so many changes to his team that played 1-1 against Ajax in midweek's Champions League quarterfinal clash. Cristiano Ronaldo, Leonardo Bonucci among others are the stars who were missing from the match. They will however return to the team's starting line up in the second leg of their UCL clash at the Allianz Stadium next week.